M Visa- Previously, business trips to China required an F visa. Now, under the new Chinese visa rules, you would apply for an M visa for most business trips. Q Visa- The Q visa is a new category specifically for reuniting family members, which used to be covered by the L visa. There are two types of Q visas: the Q1 visa is for long-term stays of 180 days or more. The Q2 visa is for short-term stays. To be covered under a Q visa, the family members in question must be Chinese citizens or permanent residents. S Visa- The S Visa is for spouses, parents, minor children, and parents-in-law who are visiting or staying with foreigners who reside in China for work, study, or other purposes. Here again, the S1 visa is for long-term stays and the S2 visa is for short visits. R Visa- This visa is designed to attract talented foreign professionals to China. If you’re a superstar at what you do AND China urgently needs your talents, you may be eligible for this visa. F visa– Previously, the F visa was used for short-term business travel, short-term study programs and other types of cultural exchanges. Now, it is only valid for short-term, non-commercial “exchanges, visits, and inspections,” such as scientific, educational, cultural, health or sports. 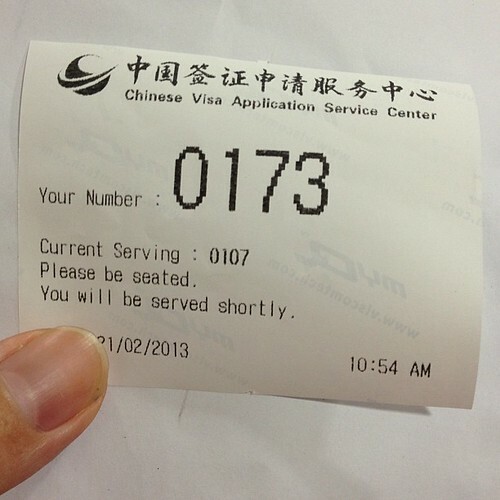 L visa- Previously, this visa covered both tourists and those visiting family in China. Now, it is exclusively for tourists and a “group” L visa has been added for travelers with tour groups. X visa- If you’re studying abroad or interning in China, you’ll more than likely need an X visa. There are now two subcategories: x1 for long-term stays and X2 for short-term. J visa- The visa for journalists has been split into two subcategories: J1 for short-term stays and J2 for long-term stays. Is your head swimming yet? Applying for a Chinese visa can be perplexing, so it’s best to seek guidance from your local Chinese Embassy or consulate, or a professional visa service. A visa expediting company can help you with your paperwork, ensuring you have all the necessary documents and that you avoid common errors that could prevent your Chinese visa application from being approved. They’ll also submit the paperwork on your behalf to the appropriate embassy or consulate, so you don’t have to travel. Our visa professionals keep up-to-date on the latest changes in visa laws, so you don’t have to! Need a Chinese visa? Let us help! This entry was posted on Thursday, February 6th, 2014 at 2:02 pm	and is filed under Country-Specific Visas. You can follow any responses to this entry through the RSS 2.0 feed. You can leave a response, or trackback from your own site.